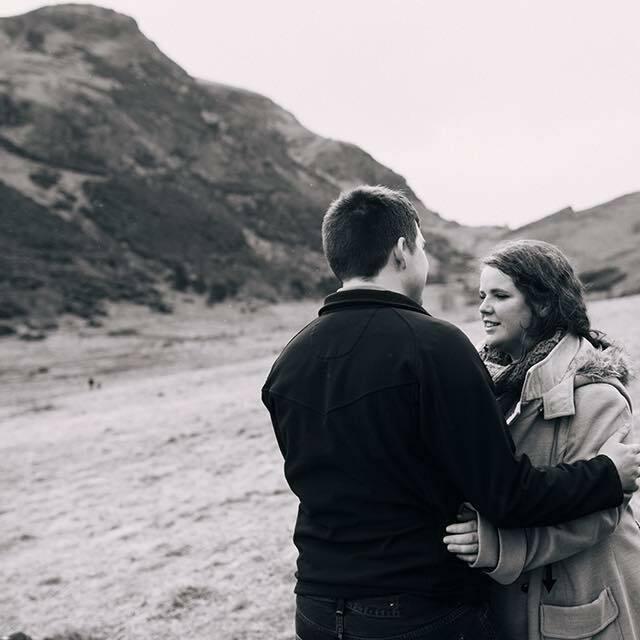 Aeyshea Jones is an art, craft and jewellery maker based in Swansea. 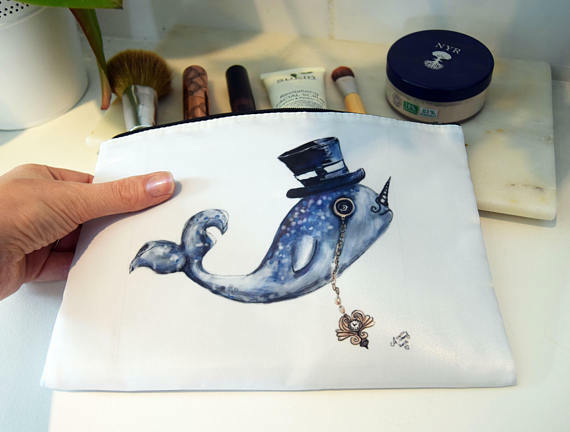 She describes her Etsy shop as a 'boutique of the kitsch and strange', and has a huge variety of products - from art prints to earrings, to makeup bags, with a few awesome roller derby accessories in there for good measure! Her work is super unique: these are definitely not pieces you'll find on your average high street and I absolutely love that! The unusual pieces and the incredibly reasonable prices make this the perfect place to find gifts for your loved ones - if you can resist buying for yourself, that is. Aeyshea very kindly sent me one of her prints to see her work for myself. It arrived very quickly which was great, and was beautifully packaged as you can see. I really appreciate this about ordering from small businesses: the effort they put into ensuring each order is as beautiful as possible always makes me feel more appreciated as a customer. It's also great if you intend your purchase to be a gift - there's absolutely no question that Aeyshea's wrapping skills are far superior to mine! Inside the beautiful tissue paper was this gorgeous Nautical Narwhal print. I love quirky, fun art so this guy was always going to be top of my list. This is an A4 print of a digitally drawn design, and the quality is second to none. It has a subtle watercolour style to it, and the colours are vibrant and stand out. I absolutely love this design, look at his little monocle and his watch! He's so refined. He's called Mr Stumpy which I also think is adorable. As you can see from my phone case, I absolutely love narwhals, so this design is perfect for me. I've put it in a frame to be displayed on my desk, and Mr Stumpy is already part of the family. I'm so impressed with the quality of this print, from the details of the design to the quality of the material it's printed on. Since receiving my print I've been snooping on Aeyshea's store to see what else I'm interested in purchasing, so I thought I'd show you a few of the things on my wishlist. Hopefully, this will give you a good idea of the kind of things Aeyshea makes! I'm getting back into wearing earrings which I haven't done for ages, and both these sets are gorgeous. 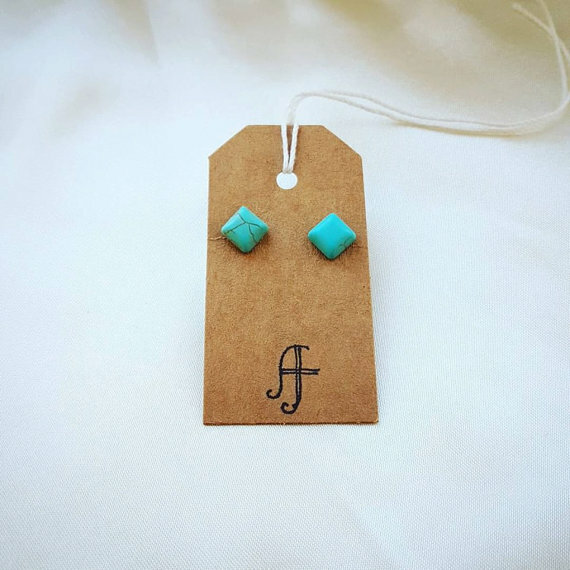 I love the beautiful turquoise studs (and I reckon my mum would love these too) and the Scotty Dog earrings are just adorable! 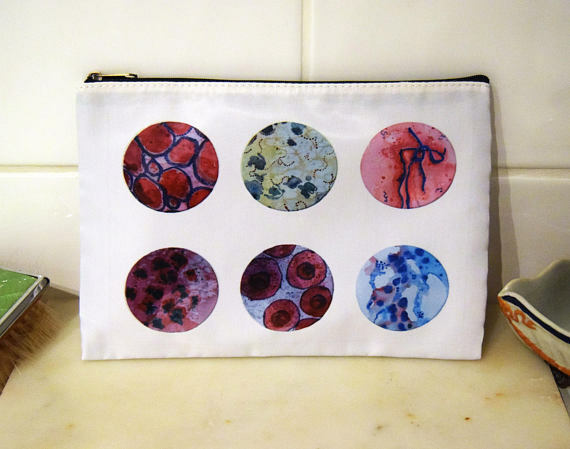 I also love both of these makeup bags - the bacteria print is really unusual and the colours are so pretty, and of course, I'd like another Mr Stumpy to join my print! 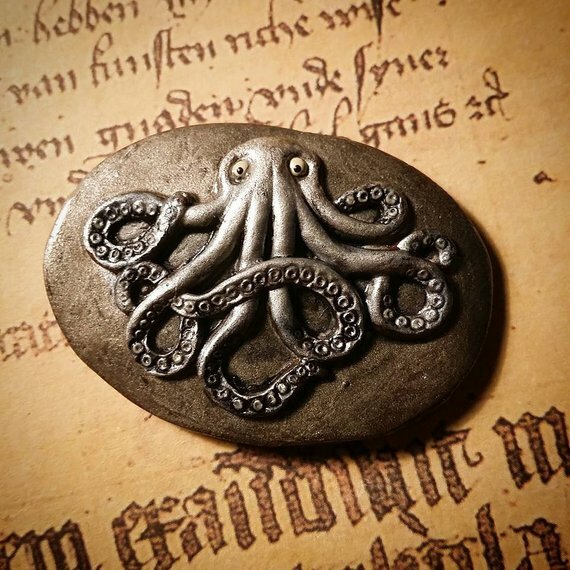 I used to have a necklace quite like this octopus brooch and it just makes me so happy. 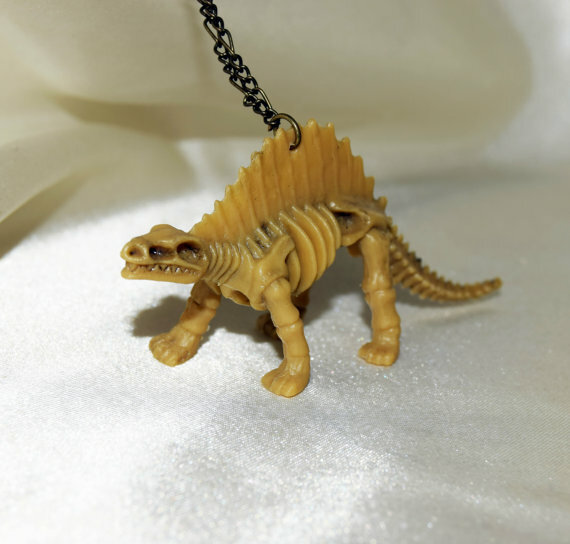 And Aeyshea makes an array of dinosaur skeleton necklaces, which would be a real talking point! 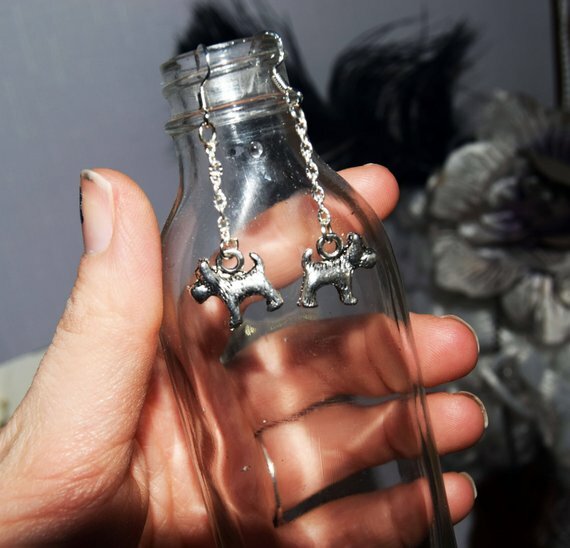 Aeyshea's Etsy shop is a haven of enchanting, eccentric jewellery and art, and I absolutely adore it. It's so important to support small businesses to ensure that we have a diverse range of products and services available. You're also supporting someone's dream and enabling them to make a livelihood out of their work. A huge thank you to Aeysha for sending me Mr Stumpy - I love him so much! Check out Aeysha's shop here, Twitter here and Instagram here! *I was kindly gifted this item in exchange for a review but all opinions are my own.